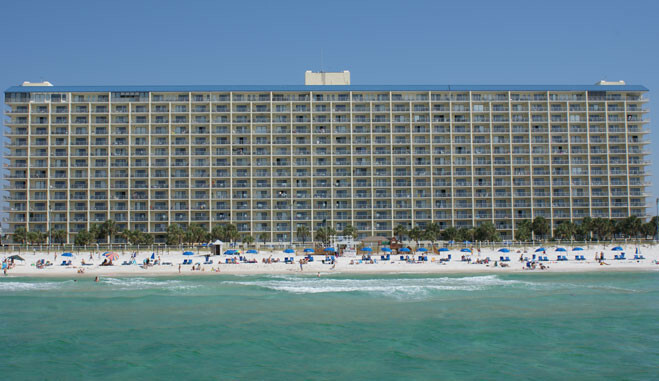 For private getaways, family vacations or group tours, The Summit at Panama City Beach is the perfect destination. For those looking for outdoor activities, aside from the resort's amazing facilities, there are plenty to choose from including: relaxing rounds of golf on one of five 18- hole courses, exhilarating matches of tennis on one of the numerous courts, sightseeing and much more. 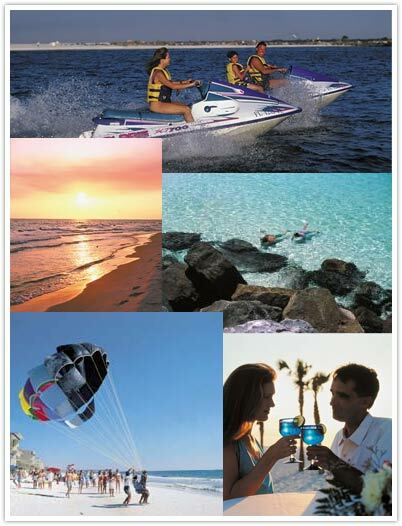 Swimming, fishing, and pleasure boating are just a few of the activities one can enjoy in the beautiful waters of the Gulf of Mexico. For those looking for a bit more adventure, the answer might be parasailing, jet skiing, snorkeling, windsurfing or diving. Click here for swimming safety tips! 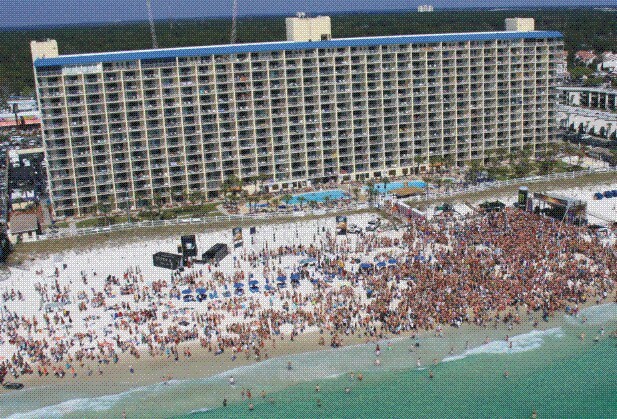 Panama City Beach, which claims to be the "Seafood Capital of the World", is host to an array of restaurants with a variety of mouth-watering menus. From casual eateries to award-winning establishments, you can be certain of having a memorable dining experience. After a delicious meal one can be sure to find entertainment to fit every age group and taste. The young at heart can choose from miniature golf, a zoo excursion, amusement parks, a water park and museums to list just a few. 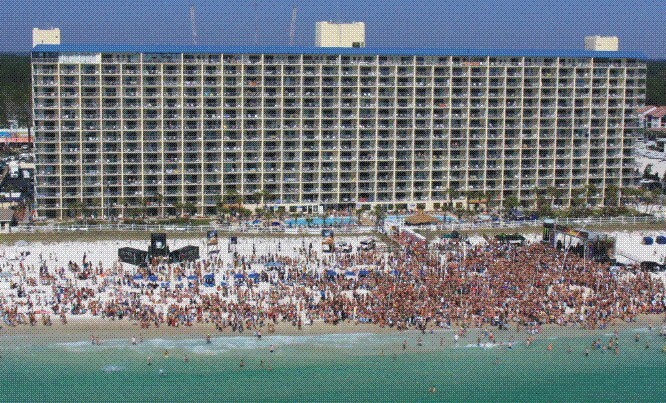 For those dancing to a different beat, Panama City Beach features numerous beach clubs offering day or night entertainment. Musical choices vary from classical hits and golden oldies to urban and high energy dance. 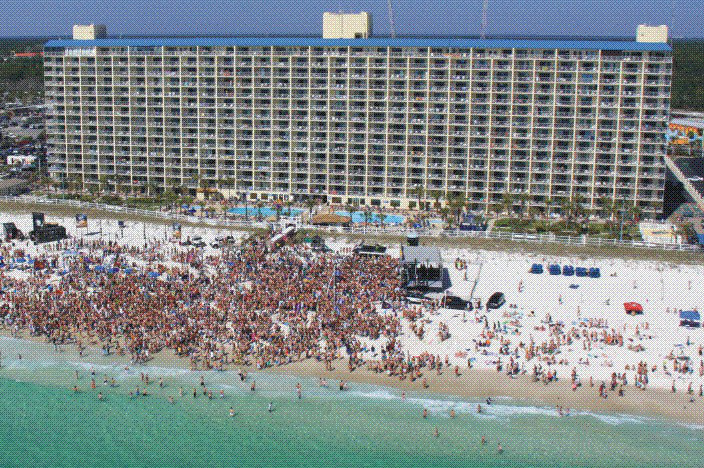 Some of the annual events one can enjoy while visiting include: the Gulf Cost Triathlon, the Indian Summer Seafood Festival, the Bay Point Billfish Invitational Tournament and Nature's Gallery Historical Arts and Crafts Festival.